Nora comes to life on Monday! Bright and early on the morning of April 1st, preorders of No, No, Nora! will be shipped to eager little (and big) hands. To celebrate Nora’s introduction to the reading aloud (and reading silently to self) public, I’ve opened a store on Zazzle where you can load up on Nora merch. Nora is a sweet little cat, and she looks too cute on t-shirts, buttons, and even a diaper bag. If you’re a fan of her nemesis Gustave, don’t fret. He’ll be there too. And Inventor fans, I’ve got you covered too. Buttons and stickers and keychains, oh my! Radio silence, or in my case, Pandora silence, has been the order of the day at laptop Darroch for far too long. During my many months away from this blog, I’ve been stretching my creative muscles in numerous ways: re-landscaping my entire garden (who knew there were so many varieties of rhododendrons and azaleas? ), knitting piles of sweaters and socks (I have a definite weakness for colorful, fluffy fiber), ripping and weaving rags into rugs for my cats to puke on, oh … and starting many new writing projects. I’m happy to announce that I have completed one of the writing projects, a fun little storybook called No, No, Nora! Nora is a lovely little cat who wants nothing more than to protect her family. However, no matter what heroism she exhibits, they only see her as naughty, even when she saves the whole town from aliens. No, No, Nora! introduces the artistic stylings of Sara Parrett, a talented illustrator I had the pleasure of meeting at Geek Girl Con in Seattle, WA. Sara’s quirky drawing style and sense of humor perfectly matched what I was aiming for with Nora, and our collaboration has exceeded my highest hopes. No, No, Nora! goes on sale April 1, 2019, but you can preorder your hard or soft cover now at your favorite bookseller. Ebook fans can order Nora on Kindle, but yours truly feels that the very best reading experience for Nora requires an analog book, a comfortable knee, and a treasured child. And yes, as with all my writing, this book is brought to you by life’s little moments. Nora and her brother Nick entered our hearts last spring. Here is the dear four-legged mischief maker, I mean, muse. The real Nora plotting the day’s mischief. Stuart Smalley images are copyrighted, so I present to you: cat in mirror. Remember Al Franken's Stuart Smalley character on SNL in the early 90's? "I'm good enough, I'm smart enough, and doggone it, people like me." It was funny because it was true. Franken's self-help guru was suffering from the disorder most of us know only too well--Imposter Syndrome. This disorder is in no medical journal, doctors don't treat for it, but it is one of the most debilitating ailments known to wo/man. There is no genetic marker to warn us it's coming, no vaccine to ward off its effects, and no easy way to heal it once it's well and truly become part of us. None of us is born with Imposter Syndrome. Our youngest, most pure selves knew who we were and what we needed. Food. Water. Love. As we grew, each of us had a core sense of self. Everything was ours: all the toys, all the love, all the everything. We were selfish as young children must be and our parents taught us to share the world as adults must do. And still, we retained that tiny voice inside our tiny bodies that told us who we were, how important we were, how talented and special and one-of-a-kind we were. And then. When did it happen? I'm of the mind it was middle school--junior high as we called it then. But perhaps it began even earlier. We started looking for love in all the wrong places (Jonny Lee song, that). We tried to please the teachers, our friends, the cool kids at the park or in the classroom. Our parents seemed to require ever increasing proof of our worthiness in exchange for the love we once got for free--not true, certainly, but so it felt. The tiny voice of self grew quieter, drowned out finally by the booming roar of the world. By the time we reached college, got jobs, moved out on our own (any or all of the above), we'd forgotten that the tiny voice had ever existed. The world was so loud. The demands of everyone around us, the need to work to earn to be enough, made us forget who we were at our core, our most pure selves. And sometimes that rare moment occurred when someone else's pure self recognized our pure self and said: "You know? You're pretty amazing. What you do, who you are? That's remarkable." And we were left with a sense that it was all wrong. We were all wrong. We didn't deserve the acclaim, the compliment, the recognition. We became imposters in our own lives. Is there a cure for this disorder? Some miracle medicine we can dose to dispel the dreaded Imposter Syndrome? Mr. Franken's mirror mantra never seemed to help Stuart Smalley, so let's cross that one off the list right off. Perhaps the Imposter Syndrome doesn't ever go away. Perhaps we always need some, shall we say, humility. But I'd like to think that the ill effects of the disorder become less bothersome as we age, as we begin to care less what we believe others expect of us. When we no longer do to satisfy or ingratiate ourselves to others, but rather do for the joy of doing regardless of the outcome. And when we reach over to pull another along with us, to mentor or aid or support a fellow sufferer, our tiny voices grow louder, find a space in the noise of the world, and sing. Early rise this morning to get on the trail, trying to escape the heat and smoke. The Pacific Northwest, Seattle in particular, is known for its rain. From July through September however, our forests and fields are as dry as those in California and Colorado. Our summer temps hover in the mid-seventies. Low eighties are unbearable for most of us, sending us in droves to air-conditioned movie theaters, stores, and coffee shops. And for the many without air-conditioning, we open our windows and crank up our fans. This week we're rising earlier than usual to walk, run, and bike--not only to escape the heat, but the smoke as well. Forest fires in Canada are blanketing us in a gray haze. Friends without air-conditioning open their windows for a breeze and inadvertently set off their smoke detectors. And that's only the Pacific Northwest. Montana, Colorado, and California residents go to sleep with acrid air polluting their nostrils and wake to more of the same. The west is burning up while we all pray for rain. Friends in the midwest, in the south, and on the east coast, you are experiencing your own weather hells this summer. Record-breaking heat, hurricanes and tornadoes where none should be, hailstorms in August. Around the world, more of the same. You know. You live there. Our Earth is talking to us. It's a sick child with a bad cough, whining and crying, needing attention and comfort and medicine. If we keep ignoring the cries of our beautiful planet, our home, how long before it develops full-on bronchitis or pneumonia? I've been called "crunchy" and a tree hugger, and yes, I wear those badges honestly and proudly, but before anything else I'm a human, a card-carrying member of the political party known as Mankind. And I love our Earth with my entire being. I hate seeing any member of my family sick in bed, and the Earth is our mother-father-grandparent, family to all of us. But Dear Reader, if you've stayed with me this long, enough doom and gloom. Negativity is not action. What are we going to do about it? How are we going to work together to heal our glorious planet? Arguing amongst ourselves about whether or not Johnny has a cough or is faking it to get out of a test today doesn't make him climb out of bed and go to school. Rather, let's love our Earth, our human home. While we wait for the brilliant minds of our scientists, the policies of our elected representatives, and the future environmental inventions of our children (and I have faith they will be beyond our imagining), we can each do something small, individually, to impact. We all know what those things are: reduce, reuse, recycle, repeat. Let's not make each other feel guilty about what we can't or choose not to do. Rather, let's promise to each other and celebrate what we can and choose to do. For my small change, I vow to implement and enforce mellow yellow in my home until the fall rains are well underway. (For fans of poetry: "If it's yellow, let it mellow. If it's brown, flush it down.") Maybe my family's reduction in water consumption won't have much effect worldwide, but it is a small change I can easily make at zero cost, and at least that's a beginning. What small change can you make? Butterfly wings, anyone? The Picture? Or the Words? You Decide. But is it? Really? This is a maxim we've heard so often it's become part of our DNA. Maybe humankind has evolved one strand devoted to sayings like this, oft quoted, easily understaood, with hazy authorship--probably penned by Shakespeare in one tragedy or another. 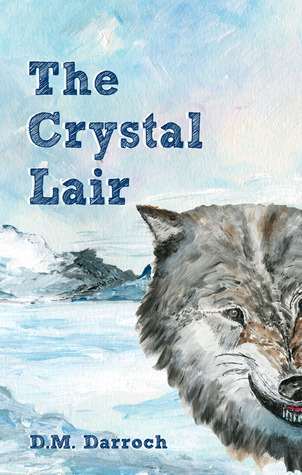 From April 18 until April 25, I'll be giving away three copies of The Crystal Lair, Book 2 in the Inventor-in-Training series. If you haven't yet read the second installment of Angus's and Ivy's adventures, or if you'd like to give a copy to your favorite science-loving teen, here's your chance to get it for free. Giveaway ends April 25, 2017. Is there anything lonelier than having only your own messes to clean up? Could be. Some days I'd like to give it a try, but not yet. I’ve mentioned it on my blog a few times, and if you’re a weather aficionado like my dear old dad, you’re sure to know this already—we in the West are having a bit of a dry spell. A dry spell, as in Seattle hasn’t seen a drier May in 23 years. (Thank you for the “weather in a nutshell”, Seattle Weather Blog.) Don’t even get me started about June. My flowers are gasping their last dusty breath before crumbling into oblivion. Cacti are beginning to look like a viable alternative for my PNW flowerbed. On Wednesday, I sat in my sunny office concentrating on the day job. The by-now-unfamiliar pitter-pat of raindrops on the skylights above my head intruded on my focus. My wild whoops of “It’s raining! At last, at last! Moisture at last!” intruded on my cats’ naps. As they raced off in search of quieter environs, I logged on to Facebook to track the path of the rain storm. My local friends were equally thrilled about the change in weather—for about 60 seconds. It seems that those ten raindrops on my skylights were all that were allotted per household. The little gray cloud rationed out my family’s portion and swiftly moved on to my neighbor’s house. However, those ten raindrops. What excitement they caused. They were something different. They were what we all needed. Okay, they didn’t do much good, but we were all thrilled about a gray cloud—and how often can you say that, especially about Seattleites? We in the Pacific Northwest have been enjoying an early summer. It’s late May, and children are wearing shorts, pools are being uncovered, and June blooms are erupting in gardens. My nose tells me that mine is not the only husband who has begun grilling dinner nightly. This is fairly noteworthy because in the Seattle area it is understood that you cannot count on sunshine and warmth until Independence Day at the earliest.But the sun is out, the temperature is pleasant, so why wait to hang the hammock? See the boy in the hammock? See the book the boy is reading? Oh, did I forget to mention that Cyborgia was published today? That’s right: The third book in the Inventor-in-Training series is now available for your reading and lounging pleasure in paperback format. So stoke that barbecue, dip your toes in the pool, hang out in the hammock, and find out what Angus and Ivy have gotten up to lately. That’s what I intend to do, as soon as that boy gets out of my seat. In his book On Writing, Stephen King writes about the importance of having one ideal reader. It’s my favorite passage in a book full of hundreds of compelling passages about the craft, because I’m fortunate to have one such ideal reader. His are the fourth set of ears to hear the rough draft of my work. I first time I read the draft aloud—to catch glaring errors my eyes don’t see, to listen to the cadence of the language, and to ensure that the dialogue rings true—three sets of ears hear it: my own and those of my cats, General and Olivia. The cats’ critiques are useless, though. Not my son’s. His fourth set of ears listens to my second draft. My son has no problem telling me straight that a chapter is boring, hilarious, or creepy. He is as honest and unflinching a critic as you’d be lucky to meet. If his eyes glaze over, my next few days are spent in rewrites. When he begs me for “Just one more chapter”, I know I’m on to something. And when my book is finally ready for the eyes of my editor, the boy who owns those fourth set of ears gives me celebratory presents. The fourth set of ears gave me this skull after I’d finished The Pirate’s Booty. The fourth set of ears gave me this tiger after I’d finished The Crystal Lair. The fourth set of ears has been listening to readings of the third book in the Inventor-in-Training series. A few rewrites are in order, but he’s been asking for “one more chapter of your creepy book”, so perhaps it’s nearly time to send it to the editor. I’m hoping for another present soon. Musings on the loves in my life--and what happens when their innards become outtards. Spring has finally arrived, and I’ve had the windows open to welcome the air into my winter-stuffy home. So I wasn’t surprised to see the tiny spider scrambling across my bathroom floor this morning. I reached out to squish it and was struck with sympathy. Yes, you read that right. One spider. A truly small one. Certainly not long hatched from its egg. All alone. Ants are always leaving the safety of their anthills to search their environs for food. They help each other drag large morsels back to their hills. They work together to care for their young. They join together to battle other ant colonies and predators who would decimate their communal home. I wonder if they mourn the ants that don’t return from a day of foraging. The ants who were stepped on, eaten by a larger bug, drowned in a sprinkler’s spray. Bees live in colonies, too. Do the homebodies miss the drones that are caught in spider webs or lost forever inside windows? Scientists tell us that swatted hornets send out help-me pheromones to their friends and family. Bluebottle flies buzz around together. Gnats and mosquitoes annoy us in swarms. Everyone knows that if you find one cockroach, there are at least a hundred more hiding close by. But what about the lonely spider? She lives entirely alone. She is feared and loathed in equal measure. She is the monster of the bug world: hunting, luring, and gobbling those that cross her path. She doesn’t know her family, she has no BFF, and she lives to kill and kills to live. After her lifetime of murder, she eats her mate, lays her hundreds of eggs, and dies. Her babies hatch and begin their lonely lives. And everyone hates them. Is there any creature besides the bird that is happy to see a spider? And let’s face it, the bird would be just as happy to see a beetle or an earthworm. Even gardeners like me who are glad to see the spider eating pests in the vegetable garden are disgusted by them when they appear inside the house. I considered the lonely little spider racing frantically across my bathroom floor. She was searching desperately for a dark corner in which to hide. Nobody loved her. Her mother and father were already dead. She would live alone. My heart was moved with pity. And then I squished her. Dear Santa, Thank you for your continued generosity. However, you needn't bring any presents for me this year. Three days before Christmas, and this writer's present has already arrived. Ever since a little book called The Pirate's Booty made its debut to the world via Amazon, Barnes and Noble, and any indie bookstore willing to take a chance on it, the writer known to you as D.M. Darroch has suffered bouts of stomach pain, nervous insomnia, and hair-whitening anxiety. Truth be told, much of that was due to my battle with this Word Press blogging technology, but a very substantial portion was typical of newly published writers everywhere. 1) Who do I think I am, forcing this drivel on the world? 2) He/She only said he/she liked it because he/she is my friend. 3) Darn it! Found another typo! 4) No one cares, because my story is simply not that interesting. My husband often tells me he can't imagine what it must be like, living inside my neurotic head. It's a busy place, I tell him. A Grand Central Station of ever-changing emotions and self-doubt run rampant. Angus's parents are my favorite part of this book because they are the complete reverse of that contemporary stereotype of parenting readers too often encounter in American pop culture. The Clarks utterly lack the dysfunctional skill set that we see is a requirement in modern YA literature. The first thing the reader will notice is that Angus's parents aren't bumbling, fumbling idiots and that will hit like a breath of fresh air for any adult who has grown weary of the literary eye roll that lives in the heart of most über cool YA." So you see, Santa, I don't need anything else. But feel free to drop by for some cookies. The gingerbread is especially delicious this year.